All about the "RERA Chairpersons"
What RERA Chairpersons are withdrawing for their service to nation? Recently the Real Estate Regulatory Authority (RERA) Chairpersons recently appointed by the Haryana government will not only be the highest paid in the country but due to a missing provision of “minus pension” from rules regarding salary and allowances, they may well draw salary more than any other functionary of the country, including the Cabinet Secretary and the Chief Justice of India. The Haryana government recently appointed IAS officer KK Khandelwal and retired IAS officer Rajan Gupta as Chairpersons of RERA at Gurugram and Panchkula, respectively. The Rule 18 (1) of the Haryana Real Estate (Regulation and Development) Rules, 2017, notified by the state government on July 28 this year provide that the Chairperson of the authority will get a salary equivalent to the Chief Secretary if he has been in the state or Central government service and a consolidated salary of Rs 2.5 lakh if he comes from the private sector. The rules also provide 30 days of earned leave, residential accommodation and vehicle as per entitlement and other allowances decided by the government from time to time. In case of members of RERA, the incumbent will get salary equivalent to the principal secretary if he has been in service of the state or central government sand Rs 2 lakh consolidated if he is from the private sector. “The catch lies in the missing provision of “minus pension” in case of those coming from state or Central government services, a condition also provided under the Haryana Civil Services (Punishments and Appeals) Rules 2016,” says a retired bureaucrat. A senior bureaucrat, however, says that the omission could be an oversight on the part of the Finance Department but clever people can always manipulate the rules to their advantage unless a clarification is issued. Under these conditions the newly appointed chairmen may get total emoluments of nearly Rs 3.73 lakh per month (Rs 2.25 lakh salary, Rs 112,250 pension, Rs 16,875 DA @ 5 per cent and Rs 18,750 in lieu of leave encashment.) – much higher than the Cabinet Secretary of the Union government that draws Rs 2.50 lakh and even the Chief Justice of India Rs 2.80 lakh. 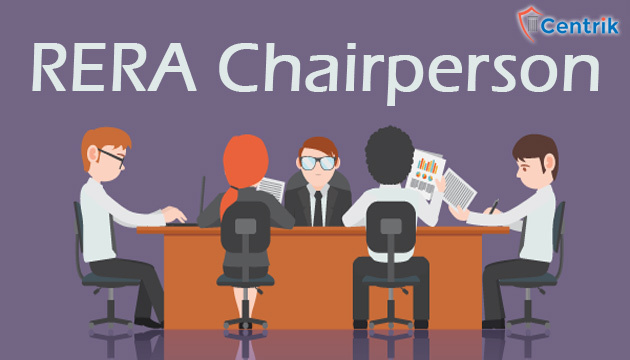 The Rajasthan RERA provides that its chairman and members will get the last salary drawn as officer. The Karnataka RERA provides a salary equivalent to the Chief Secretary and the Secretary, respectively. Rules in both cases provide that their pension entitlement will be deducted from the salary. Telangana gives much less salary of Rs 1.5 lakh and Rs 1 lakh, respectively, with Rs 50,000 as house allowance, while Punjab gives a consolidated salary of Rs 2.5 lakh and Rs 2 lakh inclusive of house rent and vehicle expenses. Additional Chief Secretary (Finance Department) P Raghavendra Rao said that he would get the matter examined, when The Tribune asked whether the department has approved the rules. Later, he told The Tribune that the rules were approved by the Cabinet and the Finance Department had also given its concurrence. “I have discussed the matter with Chief Secretary DS Dhesi as well as Principal Secretary (Town and Country Planning) Arun Kumar Gupta. The clause of deduction of pension, though not in the rules, can be incorporated in the terms and conditions of the individual officers’ appointment,” Rao said.